Longshoremen are typically prohibited from recovering financial compensation for their personal bodily injury directly from their employers. However, third-party claims against another entity – such as the company which owns the ship, or a subcontractor who may be held liable for the worker’s injury – are allowed under the law. Any ship, dock, or pier employee who has suffered significant personal injury while on the job would likely benefit from at least consulting with an attorney about their legal rights. If a longshore worker has been injured by a defective product or equipment, then the manufacturer of the product or the company responsible for maintenance may be held liable for the worker’s injuries. Our attorneys understand the many ways in which a longshore worker may be able to recover financial compensation for their injuries, and are willing to pursue every possible avenue of justice for our clients. The award-winning attorneys at Davis Law Group, P.S. have more than 20 years of experience in representing injury victims in Seattle, throughout Washington state, and throughout the United States. While state Workers’ Compensation laws significantly restrict an injured longshore worker’s legal options for pursuing a claim against their own employer, federal law permits injured longshoremen to file a lawsuit against a third-party which is not the worker’s direct employer. While these issues are some of the primary factors to be considered when investigating a potential longshore worker’s injury claim, there are a host of potential legal issues that may arise when a longshore worker is seriously injured on the job. 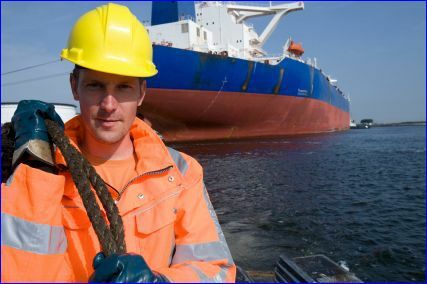 If you or a loved one has been injured on a ship, dock, pier, or otherwise in the course of maritime duties, it may be in your best interests to consult with an experienced longshoremen injury attorney. Contact the attorneys at Davis Law Group today to have your case reviewed for free and learn more about your legal rights and options for recovering financial compensation. If you or a loved one has been seriously injured while working as a longshore employee at a pier, dock, or port, contact the personal injury attorneys at Davis Law Group for a free no-obligation case review. Our attorneys have represented a variety of maritime injury victims and can help you better understand your legal rights and options for recovering fair compensation in Washington state. Once we review your case, we will meet with you for a free legal consultation if we believe we can improve the chances of a favorable outcome in your case. Call our office in Seattle at (206) 727-4000 or use the confidential contact form on this page to have your case reviewed by our award-winning legal team.